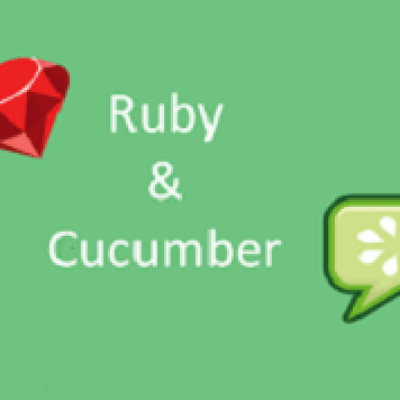 Learn Mindmajix Ruby Cucumber Training to become an expert in Cucumber software testing tool. The course comprises of basic Ruby programming language, and extending your knowledge of the Ruby object model, Gherkins, Scenarios, Annotations, Scenario Outline, Tags, built-in classes, string and text handling, sockets and network programming, code testing, Command Line Options, JUnit Runner, Reports, Debugging, Java Testing, Ruby Testing, meta programming, and many more subtopics. Enroll & Become Certified! MindMajix is the globally professional in IT courses training which emphasizes hands-on experience with examples from real-time scenarios by experts. It is the largest provider of high-quality online training courses. It is conceptualized and initiated by several multidisciplinary and ingenious software technocrats having a combined experience of more than 10 yrs. in the industry.